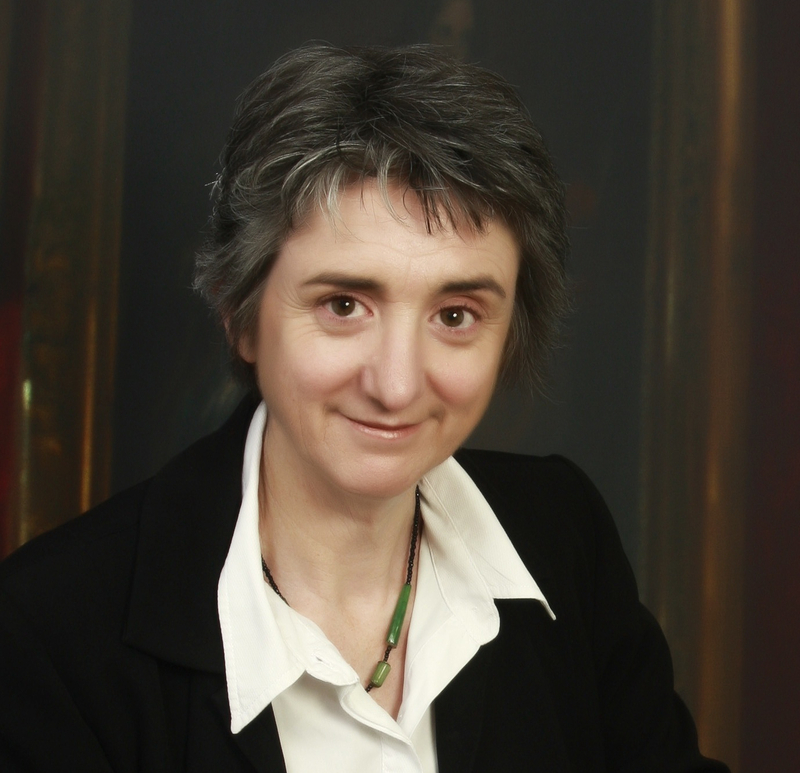 We're excited to welcome to the blog today author Jane Higgins. Jane's The Bridge, has been described as a heart-stopping novel about friendship, identity, and courage. She's here to share with us some habits of mind for writing. When the team at Adventures in YA Publishing invited me to write a post, I looked back over recent Craft of Writing posts and thought ‘Wow!’ The discussions here are rich and varied and immensely helpful. So how, as writers, can we cultivate ‘habits of mind’ that help us make best use of all this wisdom? Here are some thoughts on that – all easier said than done, of course. They are habits I’d love to practice much more diligently than I actually do! Turn down the Inner Critic. Ah, but how? Try ‘morning pages’, as suggested by Julia Cameron in her classic, The Artist’s Way. They work like this. You get up in the morning. You write. Three pages, on anything at all. What’s important for the morning pages is to do nothing that will put anything in your head between being asleep and writing your pages. That means no looking at screens of any kind, no radio, no phone calls or texts, no newspapers. No input. Not till you’ve written your three pages. When I’m writing the pages, I tumble out of bed, make a cuppa, mumble at my husband, and then sit down and write. It takes about twenty-five minutes. I’m no company for anyone until I’ve written those pages. What to write? Whatever comes to mind. I record dream fragments, ponder plot problems in the current work-in-progress, recall yesterday’s activities, and if I’m desperate for material by page three, I write down today’s to-do list. I’m not “writing” when I do this, I’m not crafting anything, I’m just putting down what’s in my brain first thing in the morning. I don’t go back and read over what I’ve written. It’s the activity that matters, not the product. I have friends who use their morning pages as raw material for poetry and some people might find them helpful for pushing through story problems. But the pages don’t have to be ‘useful’ in that way. What does spilling a jumble of thoughts onto the page achieve? It clears my brain and, somehow, it disarms the Inner Critic because hey, look, I’m writing! Maybe it’s too early for the IC to be up and about. I don’t know. I do know that I write more freely during the day if I’ve written those three pages of ‘anything at all’ first thing in the morning. Tune out the world. When you get on a plane, you know how you have to turn all your devices to ‘flight mode’, cutting you off from the outside world? That. No Facebook, no Twitter, no internet of any kind. No phone. Well, okay, leave your phone on for emergencies, but turn it to silent and put it in a drawer on the other side of the room. No television or radio. I sometimes have quiet instrumental music in the background – nothing with lyrics because they confuse the language centres of my brain that I need for writing. And, to be honest, when I come out of a writing spell, if it’s been really productive, I find that I’ve tuned out the music and can’t remember hearing it. Don’t let the outside world fool you into connecting with it – because it will try. It’s tricksy like that. Just that little bit of research that will help you with a plot point? A quick look on the internet to resolve it? Make a note to check it later. It’ll wait. Really. Get up from your desk and go for a walk. How is this a habit of mind? Well, strangely, it is. When I’m stuck on a plot point or a character conversation, I take the problem for a walk. At the start of my walk I formulate the problem as a question, as clearly as I can – that seems to be an important part of the process. I don’t think hard about it – my subconscious can do that – I just pose the question and walk. I’m constantly surprised by how often a solution has arrived by the end of the walk. I’ve tried other forms of activity than walking (gardening, for example, or housework), which would be useful because that would be productive on two levels, right? Sadly, no, it doesn’t work so well. They’re too task-oriented. The mindless rhythm of walking seems to tap into the subconscious in mysterious ways. Unclutter your writing space. It’s part of sharpening your focus on writing. If you have a dedicated space, well and good, but even if you don’t, try clearing away the non-writing related stuff from your corner of the table while you’re writing. Make a little bubble for yourself that is just about writing, so that even what’s in your line of sight on the desk is writing-related. ‘Your mind is like a cat hunting; it’s not even sure yet what it’s hunting. It listens. Be patient like the cat. Very, very attentive, alert, but patient. Slow. Don’t push the story to take shape. Let it show itself. Let it gather impetus. Keep listening. (Ursula Le Guin, The Wave in the Mind, p.227). I can remember when the first line of The Bridge arrived. I was standing in a bookshop leafing through a book of short stories when my eye flicked past a line which, when I checked back, turned out to be very mundane: ‘We rode to the flat in a taxicab’. But the first time my eye ran over it I read it as, ‘We rode to war in a taxicab.’ My subconscious was playing tricks on me. War was on my mind. I’d been struggling with a short story about some young people in a war, but it hadn’t worked and I’d shelved it. Clearly, though, the idea wasn’t done with me. It was sitting in my subconscious, biding its time. From that moment, I was off and running with the world of The Bridge. Who was in the taxi? What was the war? I wrote the book to find out. As I mentioned, it’s all much easier said than done! It’s a struggle to find uncluttered mental space for writing when there are so many claims on our attention. But there’s good science now to show that when we think we’re multi-tasking (particularly in things that require conscious thought), we’re not really doing that at all. We don’t – can’t – think about more than one thing at a time. Rather, we switch back and forth between tasks. It only takes a second to check a post on Facebook, but coming back to where you were in your writing before you got distracted takes more time and energy than we once thought. Writing is mysterious, and a good part of that mystery involves tapping into the subconscious and letting the story emerge. That means sometimes letting your mind just wander about, being attentive and patient. At other times, it means having a close and singular focus on your story. It’s all about giving yourself space to think, ponder and imagine deeply. Nik is still in high school but is destined for a great career with the Internal Security and Intelligence Services, the brains behind the war. But when the Security Services come recruiting, everyone is shocked when he isn't chosen. There must be an explanation, but no one will talk about it. Then the school is bombed and the hostiles take the bridges. Buildings are burning, kids are dead, and the hostiles have kidnapped Sol. Now the Security Services are hunting for Nik. But Nik is on the run, with Sol's sister Fyffe, and Security is hot on their trail. They cross the bridge in search of Sol, and Nik finds answers to questions he had never dared to ask. 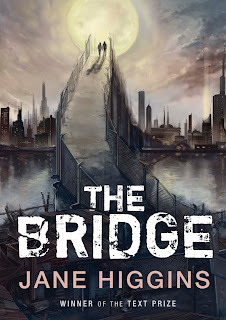 The Bridge is a gritty adventure set in a future world where fear of outsiders pervades everything. A heart-stopping novel about friendship, identity, and courage from an exciting new voice in young-adult fiction. Jane Higgins is a New Zealand writer of fiction and non-fiction. In her day job she is a sociologist specializing in youth studies, focusing particularly on young people in transition from school. Growing up, she read a lot of classic science fiction, fantasy and myth and she still loves to escape into the other worlds of these stories. The Bridge is her first novel. It won the 2010 Text Prize for Young Adult and Children’s Writing. Havoc, a sequel to The Bridge has recently been published by Text Publishing (Melbourne). Very nicely put. Good reminders to focus. focus. focus. Thanks! Excellent reminders here. Thanks for those. Love the cover of your book!